Friday, 10 May 2019 at 4:30 p.m. to Sunday, 12 May 2019 at 4:00 p.m. This is a three day loop that will involve some serious tramping and get you some sweet views above the ridgeline in the Tararuas. 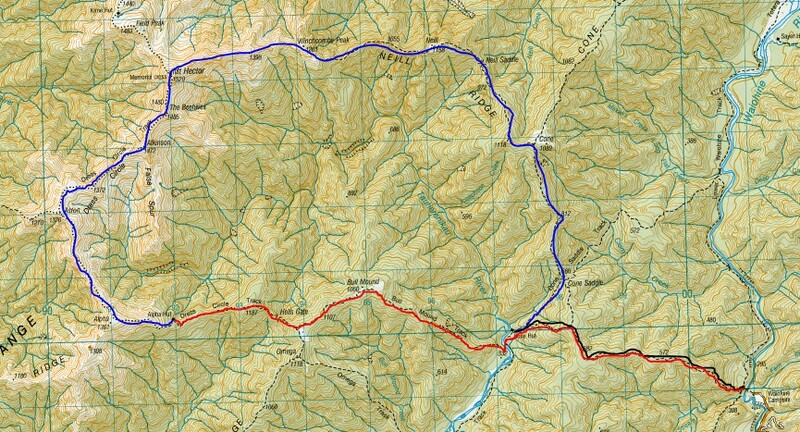 The plan is to drive out to Waiohine Carpark on Friday, then hike to Cone Hut. On Saturday, we'll wake up early and make our way up to Cone Summit, follow Neill Ridge up to Mt. Hector, then hike the Dress Circle to Alpha Hut. I expect this will take about 10-12 hours of fairly strenous hiking and the section from Winchcombe to Alpha will be exposed. On Sunday we'll walk down the ridge to Cone, then hike back to the carpark. Since we'll be hiking in exposed conditions, the route will be dependent on weather, but there's other loops we can do from Cone if we are forced below treeline. Difficulty for the trip will be about medium-hard. Previous tramping experience is recommended.